The Playmobil Police Roadblock is the perfect tool for Police to stop suspected criminals. Use the warning signs to signal to drivers that they need to stop. The Police officers also have an array of equipment to make sure motorists are driving safe including a safety camera and stop sign. If drivers fail to stop use the tyre spikes to bring even the fastest of criminals to a complete halt. 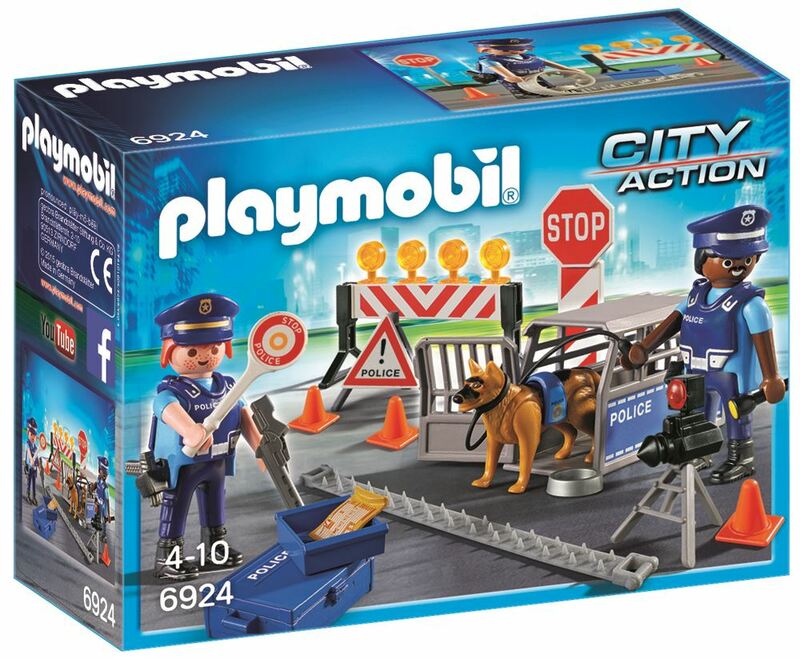 Includes: 2 police figures, a police dog and accessories. Part of the City Action range. Age 4+ years. Distributed in New Zealand by Holdson.